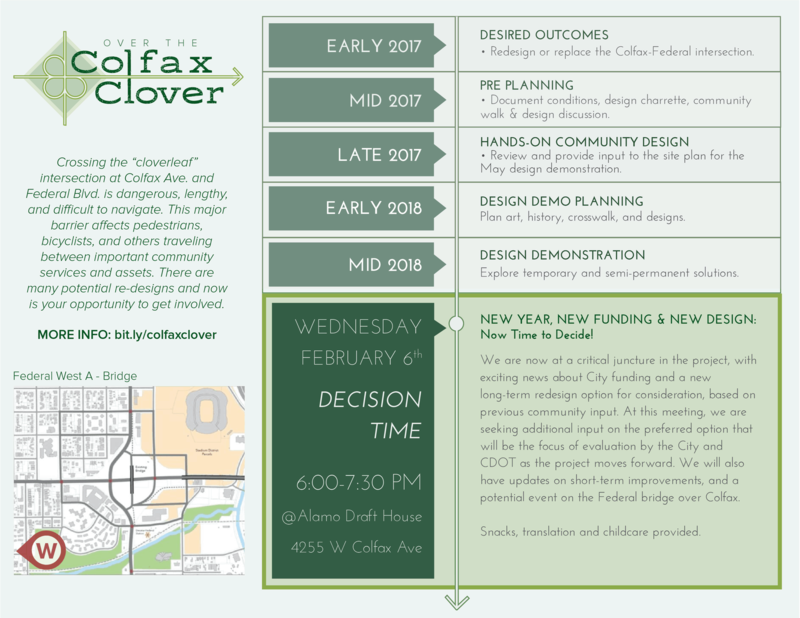 Join us and help us to spread the word about an important public meeting at the Alamo Drafthouse Cinema as we move to decide on a preferred design for Colfax & Federal. The rescheduled meeting is from 6:00-7:30 pm on Tuesday February 19th at the Alamo Sloans (4255 W Colfax Ave). FB event page here for sharing.